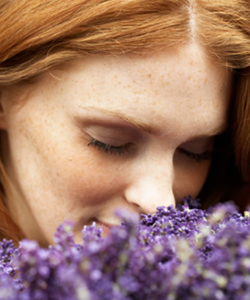 Beautiful Incentives: Does Aromatherapy really reduce Stress and Anxiety? Does Aromatherapy really reduce Stress and Anxiety? I do a lot of things to ease stress as much as possible. This is imperative for me when dealing with a chronic issue. These include simple things like eating a 90% healthy diet, taking baths, yoga and aromatherapy. Some of you are probably like me before I gave essential oils a try. You're thinking its all snake oil, but I am here to tell you that I was pleasantly surprised for my skepticism to be met with proof. I won't get into the nitty gritty of all the healing aspects, as I just don't have enough education on the matter. However, I can tell you that scent therapy really works to calm your nerves, open your senses and relax you. Scent in general sparks a myriad of memories and feelings. For instance, I recall the scent of lavender and patchouli in a college friend's room. I remember it bringing a sense of calmness to the ambiance. I loved our convos and the scent in the air. When I smell this familiar mix of scents, I immediately think of this person and the times we had. My mother wears Bijan perfume and every time I smell this, which is rare, I think of her and specific times that she wore it. Scents are a very powerful thing when it comes to triggering memories. So why then would it be unheard of for them to alter our brain chemistry further than just memory? As it turns out, studies have shown it does much more. Scents stimulate several parts of the brain. My focus is on Lavender oil specifically, as it is one of my all time favorites. In the National Library of Medicine, you'll find many studies proving the affect that pure lavender oil has on subjects with depression, anxiety and sleep deprivation. Lavender oil is among the most powerful of the herbs in aromatherapy. When inhaled or massaged into the skin, it produces significant changes in the brains' chemistry. According to NCBI studies, when inhaling the volatile compounds from lavender, it is proven to stimulate the limbic system. Specifically, being the amygdala and hippocampus part of the brain. Linalool and linalyl acetate from the Lavender are very rapidly absorbed through the skin by use of massage and have proven to bring about central nervous system depression. Women whose brains were scanned showed many changes in these regions of the brain. These women found it easier to fall into a deeper sleep, relax, reduce anxiety, as well as some even showed signs of other stimulation/excitement. Given that small bit of information, you can see that essential oils have an impact. I love to use mine in different ways. Whether it be through a soy candle/wax tart, a soak in a scented bath bomb, spraying before and after a session of yoga. Spraying it on my pillow just before sleep. I use all of the above and a nebulizer. Sometimes at the same time. An easy and fast way to introduce aromatherapy is through a Nebulizing Aromatherapy Diffuser. Before this, I was using other types of diffusers, such as the kind requiring water. With this, it is such an effortless form of therapy and it requires NO heat NOR water. First off, they are as beautifully designed as they are practical. Nebulizers simply use air pressure within it's small glass chamber tube, to produce a suction that induces the essential oils to rise. Nebulizers are so elegant and décor friendly, which is important to me. They actually just look like art displayed in your home. I highly recommend this. If you are stressed or anxiety ridden and you have not already introduced pure essential lavender oil into your daily life, why not try it? Don't discount the benefits, until you have given it a fair shot. Chances are you will feel a great relief, if you keep up with the therapy. This post was in collaboration with Blogdash. All information is obtained for the purpose of educating. I am not a health practitioner and do not claim to have the expertise. Consult your doctor before utilizing any form of essential oil therapy. This post is in accordance with FTC guidelines.